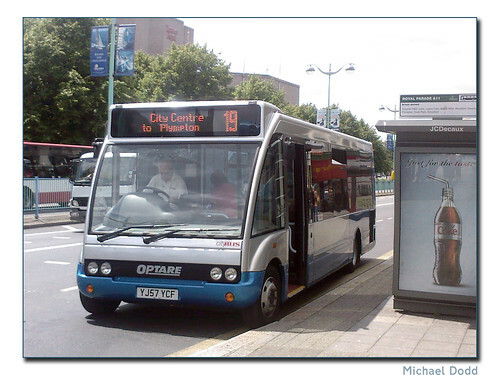 Thanks to Michael Dodd I can now bring you photos of Optare Solo YJ57YCF which is currently on loan with Plymouth Citybus. The last few Mercedes Minibuses will be due to leave the fleet fairly soon so there is a need for a few smaller buses to replace them on certain routes. 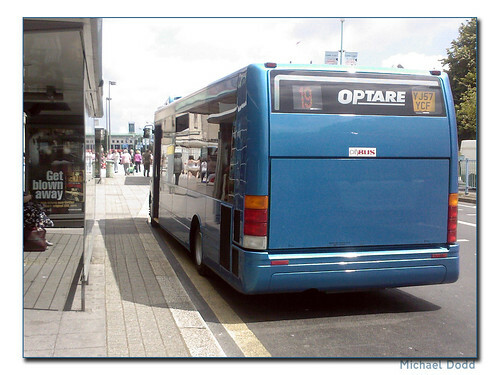 It remains to be seen if any other buses are due on trial with this in mind although Optare does have the market pretty well sown up. There is the new Plaxton Primo although opinion does seem mixed on these so far.